Color with the power to transform your lips, your look, your attitude. Estée Lauder Pure Color Envy Sculpting Lipstick is a super creamy finish lipstick that glides on effortlessly, covers evenly. Sensually soft and smooth, luxuriously comfortable. 6-hour wear.The lipstick bullet is shaped to sculpt the curves of your lips. The case feels like luxury in your hands. And with one click, case closed. - Sculpts: Multi-faceted pigments create definition. Lips look beautifully shaped, sculpted, curvaceous. - Hydrates: Time-Release Moisture Complex helps capture and seal-in hydration. Lips feel continuously moisturized throughout the day. - Intensifies: Saturates lips with high-intensity color—in one stroke. Lip-sculpting statement shades for all skintones. Explore the entire range of Lipstick available on Nykaa. 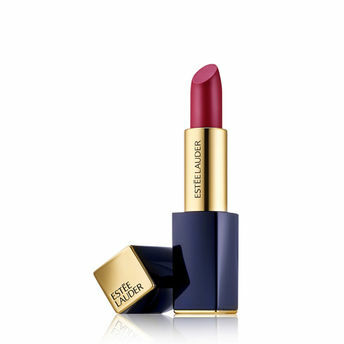 Shop more Estee Lauder products here.You can browse through the complete world of Estee Lauder Lipstick .Alternatively, you can also find many more products from the Estee Lauder Pure Color Envy Sculpting Lipstick range.